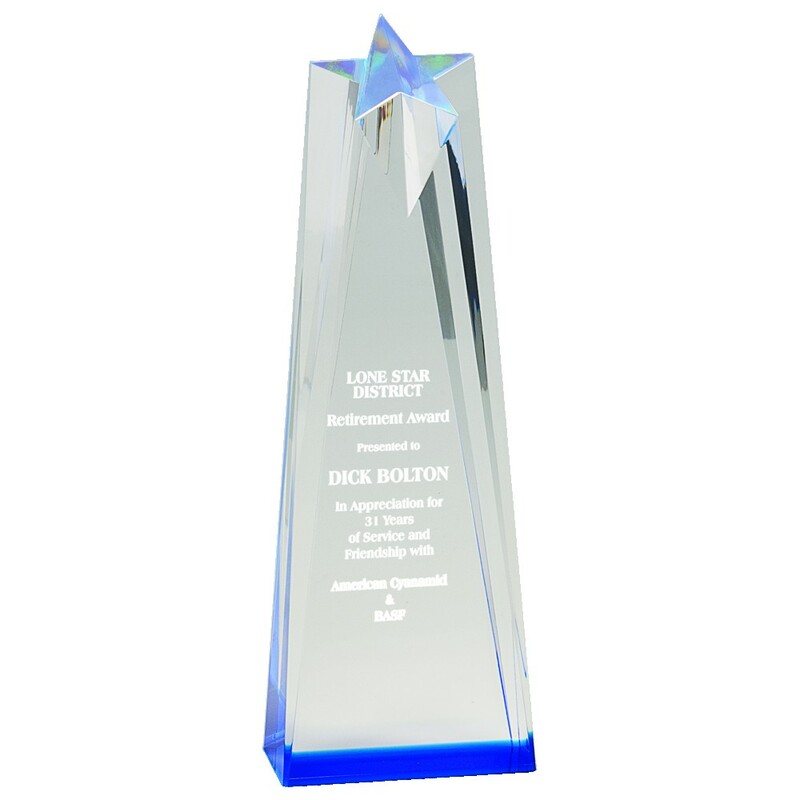 Any deserving employee will be honored to receive the Andrea Blue Star Acrylic Awardand display it with pride! 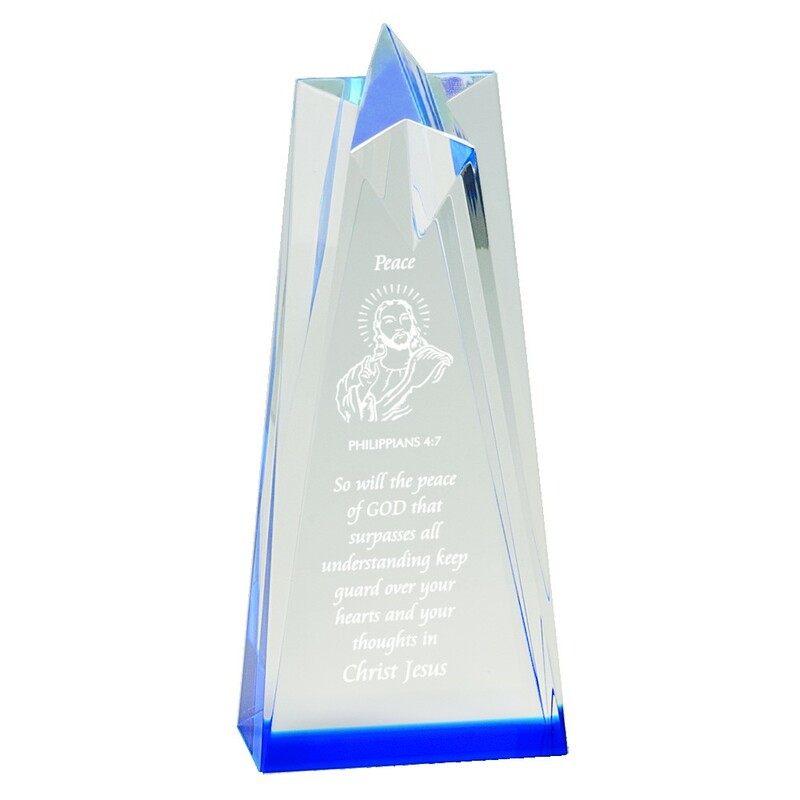 Named in honor of customer Andrea who repeatedly ordered this award, our sculpted star is make of clear acrylic with smooth sides and crisp beveled edges. 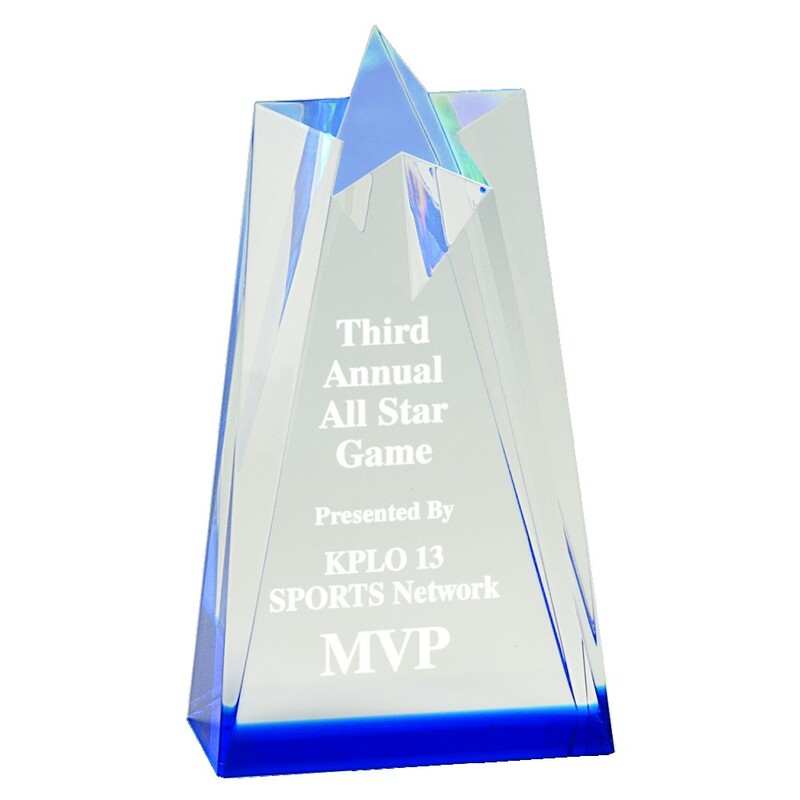 The top of the award features a slanted star; the bottom is covered with a blue foil that radiates throughout the award, giving it sparkle and shine. Available in 3 sizes - 6, 8, and 10 inch - all of which include your personalized engraving in the price.